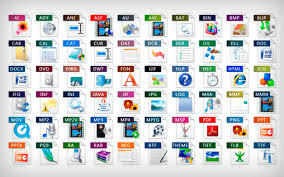 There are many different image formats available, although the most common are .gifs, .jpgs and .pngs. Despite these file formats being widely used around the internet, the description and use of each of these image formats is not commonly known. In this article, we shall be taking a look at some of the most used image file types available, and giving some details on when to use them, and why. When you choose to put up an image on the web, you have a wide range of image formats that are worth giving a try. Each of the formats explained below can all be used for the same purposes, but if you want the best results, you may want to consider using them over the alternatives in certain scenarios. Let’s first start with perhaps the most used image format to date, the .JPG. The JPEG, or JPG for short is an image format that is best used for photos or for pictures that you don’t mind sacrificing a bit of quality for to reduce the file size. Whilst JPEGs can do a good job at keeping small sized photos at a fairly decent quality, their quality drops a bit when used for text, large block colored shapes, or other block color, because lines of these shapes can often blur, and colors can be saturated. The PNG is perhaps one of the best image formats for creating small file sizes that lose little quality. PNGs are great for capturing a variety of images, and their best feature is it’s capability for full transparency. If you have ever noticed images online that have transparent backgrounds, they were created and saved as a PNG. The BMP, or bitmap, is a pixel-based image format that is best for graphics and images that are not photos. BMPs can be pretty large in file size, and because of this there will be no loss in quality, making them a great choice for large displays, wallpapers or screensavers. The GIF is perhaps the internet’s most known file type – GIF images can be animated, and this acts a great way to share small, compact animated videos with friends. When used as a still image, GIFs can be great for creating drawings, banners, text and other block shapes you may create in a program such as Photoshop or Microsoft Paint. Hopefully this has helped you to understand the basics of the different file types used frequently online. There are many other image formats available for use, but these are the ones that get the most use. What image formats do you usually use, and after reading this do you think you might change things up at all?